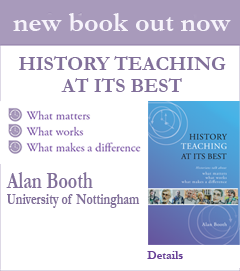 Historians discuss developments in history teaching including their hopes and ambitions for the future. The panel comprises historians from US, UK and Australia attending ISSoTL annual conference in Liverpool, UK, 2010. The panel includes Geoff Timmins, Leah Shopkow, Arelene Diaz, David Pace, Paul Hyland, Alan Booth, Sean Brawley. ISSoTL is the International Society for the Scholarship of Teaching and Learning.